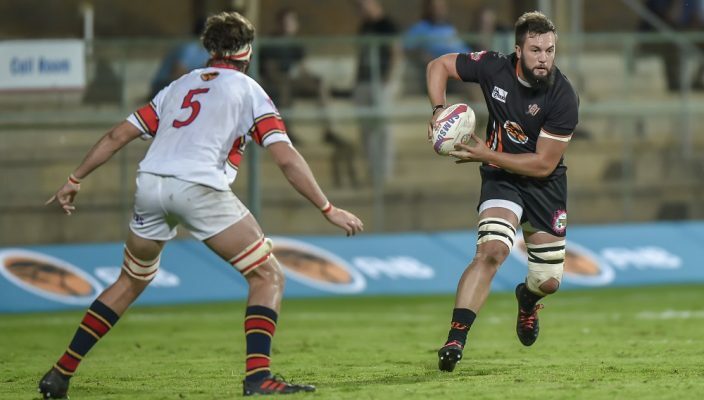 In his last year at varsity, Namibian rugby international Wian Conradie is determined to go out on a high as the Varsity Cup tournament enters its closing stages next week. 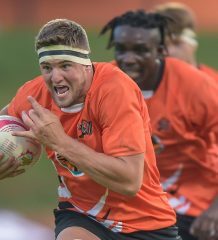 The 23-year-old No 8, who is completing a B Tech in quantity surveying this year, was named the Player that Rocks in UJ’s 30-30 draw with UP-Tuks after scoring a try and excelling in general play. However, his attention is now on the team’s final league match against University of Cape Town, which will be a straight shootout between the sides for a spot in the semifinals. 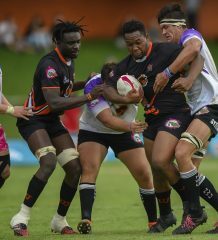 After failing to close out UP-Tuks when they led 20-7 at halftime, UJ have 23 points with one game to play. UCT are just three points behind them, so whoever wins on Monday should end up in the top four. Conradie, who played for Namibia in the 2015 World Cup, said he was enjoying his rugby at UJ. “This is my final year so it’s a make or break game on Monday [in Johannesburg] and I am really keen to go out on a high,” he said. He said he was happy to get the recognition as the Player that Rocks. “I enjoyed Monday’s game, which was quite physical. It’s always a big derby against Tuks and it’s quite testing to play them away from home. Having grown up in Windhoek, where he attended Windhoek High, Conradie said he would be focused on making the Namibian side once the Varsity Cup was completed. “Playing in the 2015 World Cup [in England and Wales] was a massive highlight in my career and now we are looking at the 2019 tournament in Japan. 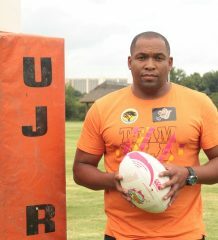 Conradie, who stays on campus at UJ, said he was committed to Namibian rugby, having attended a training camp this month. A player with a physical approach who carries the ball strongly, Conradie said there was always room for improvement in his game. “I am working on stepping up my defensive efforts and to get a bit more physical in that area,” he said. “I’ve had a lot of help from the coaching staff at UJ and I have really enjoyed my rugby here since 2014.